You’ve just seen how the biggest profits from Silicon Valley's fastest growing companies go to early investors who get in before shares trade publicly. Early investors are already making huge profits of 1,842% on Uber, 2,621% on Palantir, and 3,900% on Instagram! Now it's your turn to get in on the early profits! Flipkart – the #1 e-commerce company in a country with 1.3 BILLION PEOPLE – is going public! Using my just-released research, you can grab private shares BEFORE they start trading on the NYSE. And that’s just the beginning of your pre-IPO profits! When you join my Million Dollar Portfolio, you'll get immediate access to my exclusive pre-IPO research. 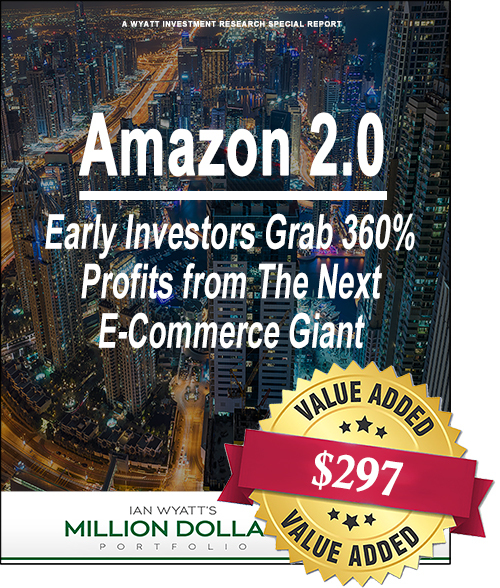 I’ll show you how to sneak in the “back door” and grab a stake in the hottest market on the planet – Pre-IPOs. You’ll discover how to buy into companies like Flipkart, Airbnb, Palantir, Lyft, and Uber BEFORE they file to go public in 2018! After raising BILLIONS in private capital, dozens more private companies are quietly preparing to go public. They are off limits to 97% of investors...until NOW. That's because my research has uncovered a secret way to invest in these deals BEFORE they go public. How to get FREE private shares of Flipkart – BEFORE Walmart invests $16 billion! 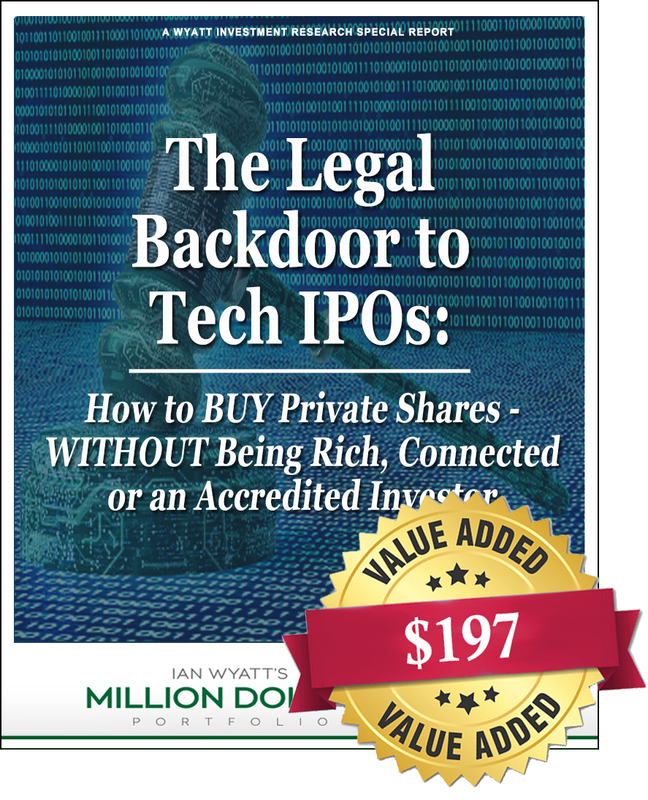 169 companies that the Wall Street Journal calls the "Billion Dollar Startup Club"
Discover how to BUY private shares - WITHOUT being rich, connected or an accredited investor. These deals were previously off-limits to individual investors but are now open and 100% legal! The average NEW IPO jumps 26%. 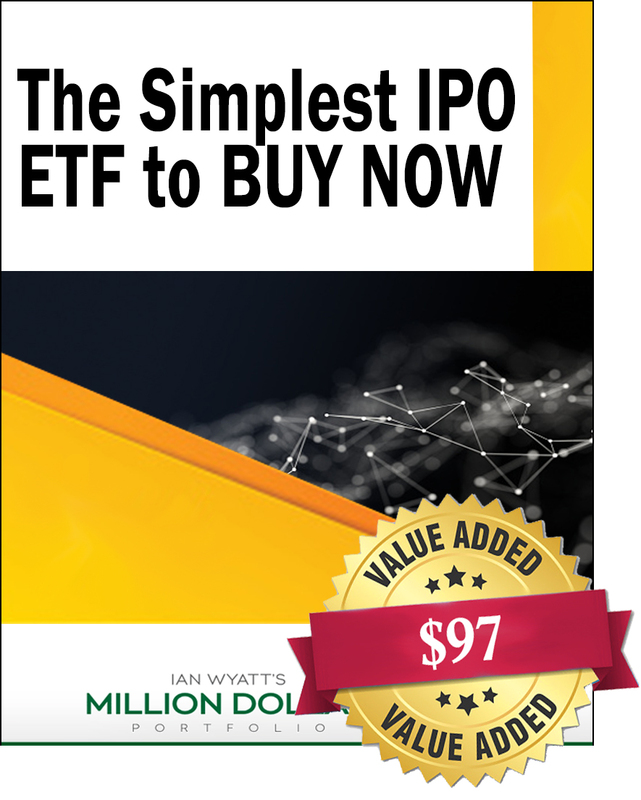 Get in on the action with one simple ETF. You’ll get instant diversification because with a single purchase, you'll own shares of nearly every new IPO. 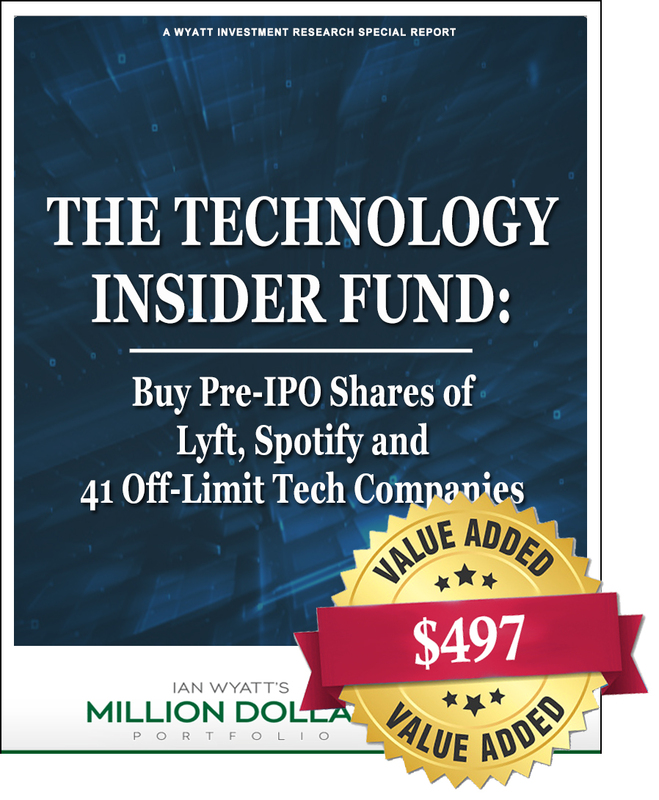 One little known investment lets you instantly BUY pre-IPO shares of Lyft, Spotify and 41 other off-limit tech companies. This is the simplest – and most diversified – way to buy PRIVATE tech stocks. One insider leads a small VC fund that invests in promising new tech stocks. Our research suggests that the value of this fund could double within the next 12-months. Former Amazon employees QUIT to launch a new IPO. Walmart just invested $16 BILLION in this booming e-commerce giant. Now's your chance to BUY private shares - BEFORE this deal is completely closed. Plus, this upcoming IPO could hand early investors 360% profits! 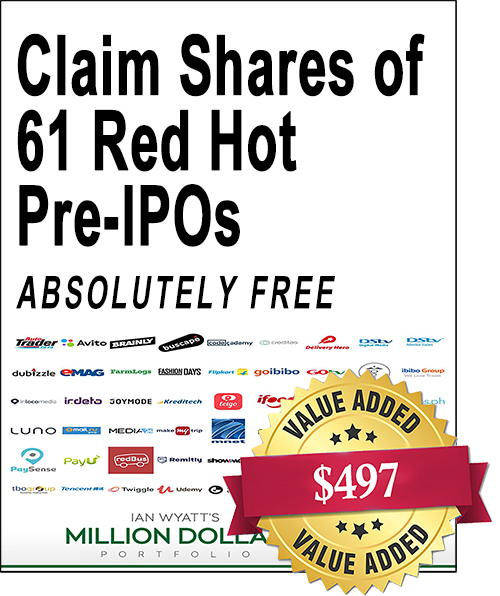 One undiscovered investment lets you instantly claim shares of 61 global tech companies! It's the easiest way to immediately grab shares of Flipkart and 60 additional growth stocks. I've personally used these types of "free shares" to make 644% - 3,121% profits and I'll show you how! These 6 bonus special reports are a $2,082 value. They’re yours – 100% free – when you accept my invitation to join Million Dollar Portfolio. I started Million Dollar Portfolio with $100,000 of my own money and a simple goal: to turn it into $1 million. With investments like FedEx (+184%), MasterCard (+732%) and Netflix (+3,021%), I’m already more than halfway to my goal. Average stocks don’t make the cut. That’s why I’m so excited about helping you earn BIG pre-IPO tech stock profits. THAT'S $11,070 IN TOTAL VALUE! Right now, there are only 50 membership spots to the Million Dollar Portfolio. With more than 7,239 people registered for my LIVE "Walmart Plans New IPO to Crush Amazon” event, all the spots could be GONE within a couple hours. Please understand that because these PRIVATELY HELD tech stocks are so small, this research must be limited to ONLY the first 50 new members. 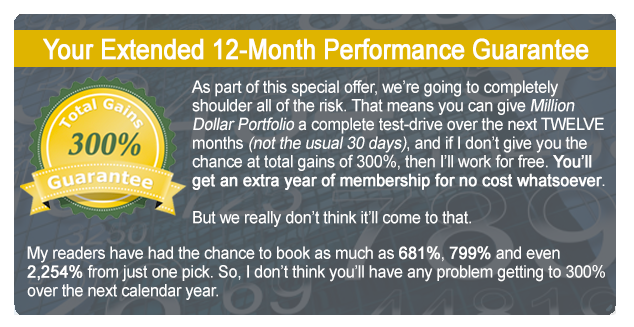 When you join today, you'll immediately get access to the Million Dollar Portfolio. You'll be able to access this research, review the current portfolio, and read the latest recommendations. 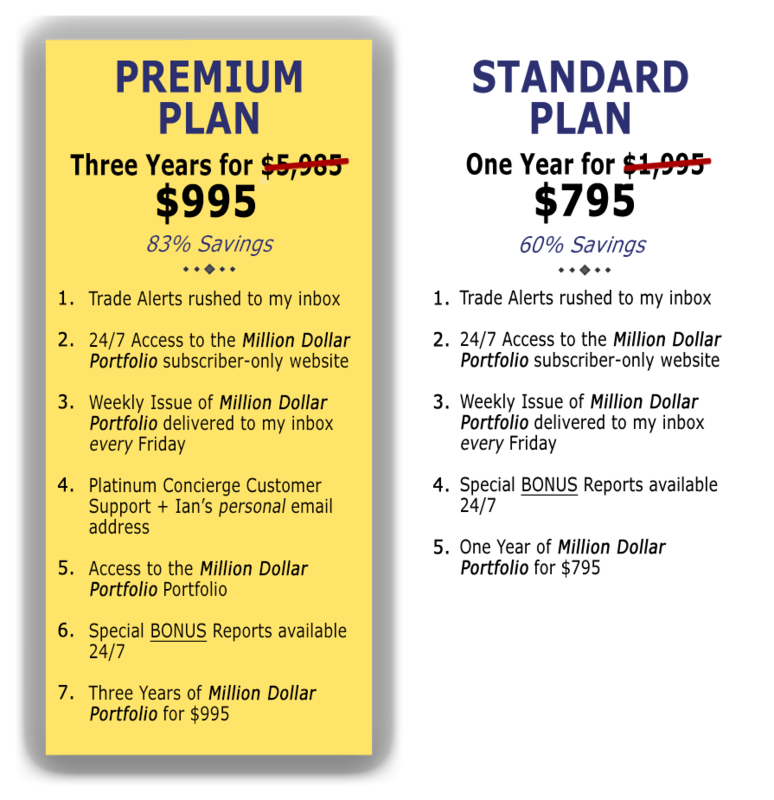 By acting today, you'll have a chance to lock in HUGE 83% savings -- the BEST price ever offered! 100% "SOLD OUT" within 24 hours. Please respond ASAP if you're serious about grabbing a share of the massive pre-IPO profits beginning NOW. Get 1 Year for $1,995! Get 2 Years for $3,990! Your membership includes a 12-month, 100% SATISFACTION GUARANTEE! 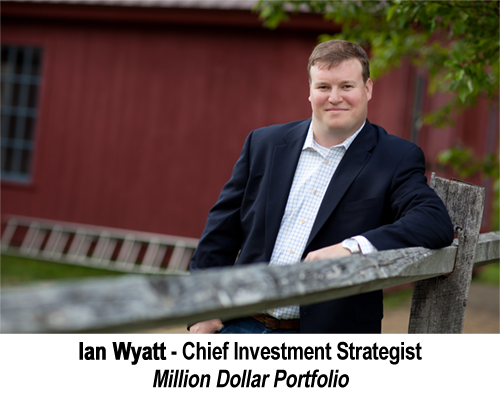 If at any time in the next year, you don't like what you see, simply contact my team and you can receive a credit toward any other research service from Wyatt Investment Research. WAIT! By clicking out of this page you’ll MISS OUT on PRE-IPO Shares! This is your LAST CHANCE to get in on Pre-IPO shares. Or call 888-875-1960 to speak with my V.I.P Client Success team. Don’t wait – call now! No, I’ll skip this amazing offer.